THIS IS YOUR HOUSE! Beautiful ALL BRICK spacious home with an open concept kitchen with a HUGE GORGEOUS bay window to see the children playing in the HUGE backyard! There is beautiful hardwood and marble flooring throughout the home. The basement is finished with a gorgeous concrete stamped floor! There are 4 bedrooms one that attaches to the Master Bedroom that can be used as a nursery. The Master has an attached on suite bathroom. The Central A/C is brand spanking new was installed 8/2018. Kitchen appliances stay & the furnace is also on the newer side. There is nothing to do to this home but move in! There is so much storage space along with a spacious 2 car garage that sports glass block decorative windows. 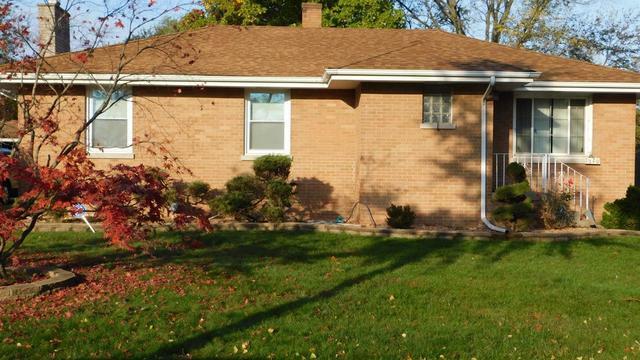 This home is super close to the local jr/High School; Purdue University Northwest Campus; blocks away from the expressway; Cabelas'; Walmart and other local stores and restaurants; bike path, new Hammond Sportplex and YMCA! The list goes on and on! This is a must see!